Home / Articles / Do Men Take Breakups Harder Than Women? Do Men Take Breakups Harder Than Women? Do men or women take breakups harder? New research suggests that women might experience more emotional turmoil after a split, but men have more difficulty recovering. Researchers from Binghamption University and University College London recently surveyed nearly 6,000 participants from 96 countries and asked them to rate the emotional and physical pain of a breakup from one (no pain) to 10 (unbearable). In terms of emotional anguish, women averaged 6.84 compared to 6.58 in men. Women scored an average of 4.21 in terms of physical pain compared to men’s 3.75. The survey also discovered that women often come out stronger after a breakup over time while men never completely recover and simply just move on. 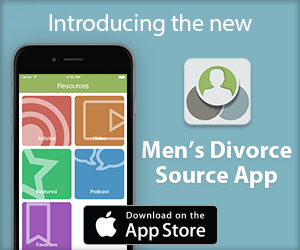 Previous research has shown men often mourn a divorce differently than women, and there are a number of factors that can make recovering from the emotional devastation of a breakup uniquely challenging for men. Statistically, women initiate divorce twice as frequently as men, which indicates that women often come to terms with the end of a relationship sooner than men and are quicker to transition into the recovery phase. It becomes all too easy to get stuck in a rut of negative emotion while replaying in one’s mind everything that went wrong in the relationship. The problems are then often compounded by the family courts where men still frequently face outdated and unfair gender stereotypes when it comes to sorting out issues like child custody and property division. Social norms can also make it difficult for men to seek the support they truly need to recover. Rather than reaching out to family and friends for help, many men attempt to move on from their problems on their own. Some try to cope with alcohol or by immediately jumping into new relationships. These tendencies often prolong the healing process and can put men at risk for serious health problems. As difficult as it is to get over an aborted marriage, life does go on following divorce and the hardship can lead to a greater appreciation of life’s joys. So what should a man do to try to get past a divorce and move on with his life? First, Corder says, let go of all the negativity. That might be the most important step to reinventing yourself post-divorce. ← Does A Stepdad Have A Shot At Gaining Child Custody?